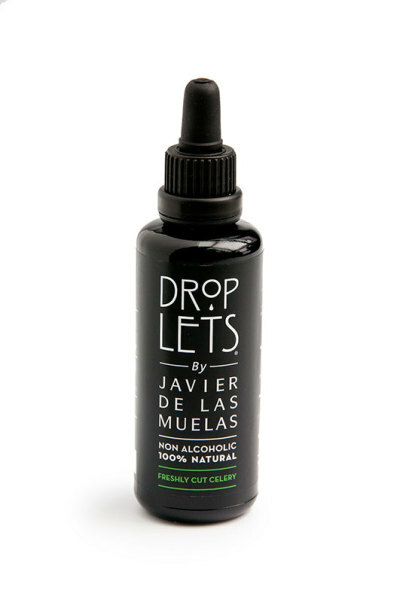 DROPLETS® is 100% natural, no alcohol, and opens endless gastronomic possibilities. 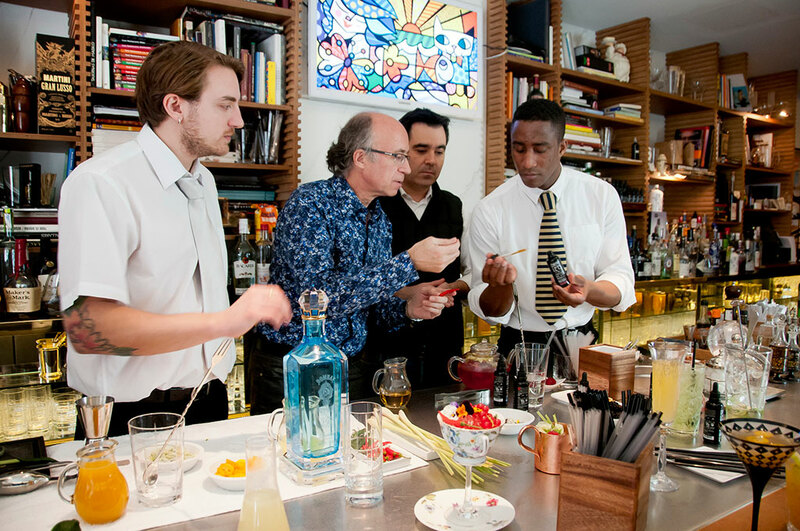 both in kitchen and cocktails world. 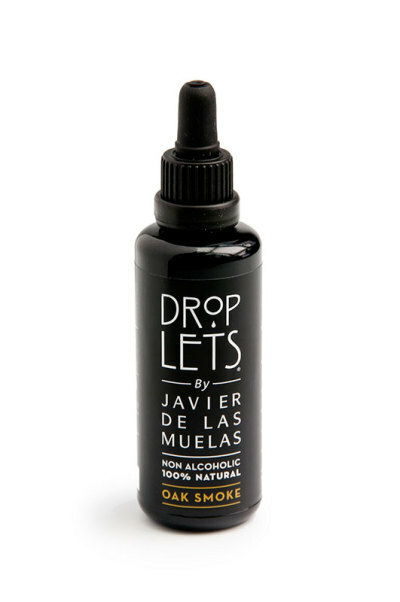 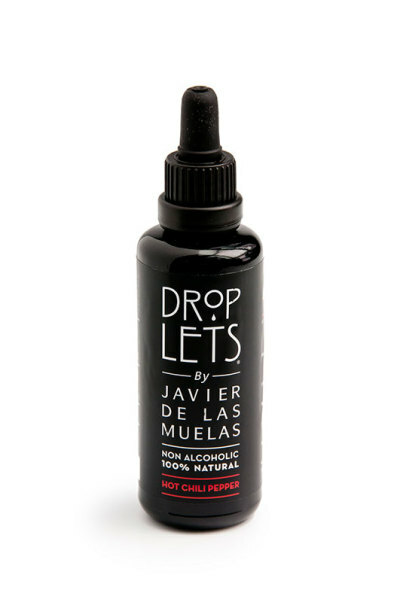 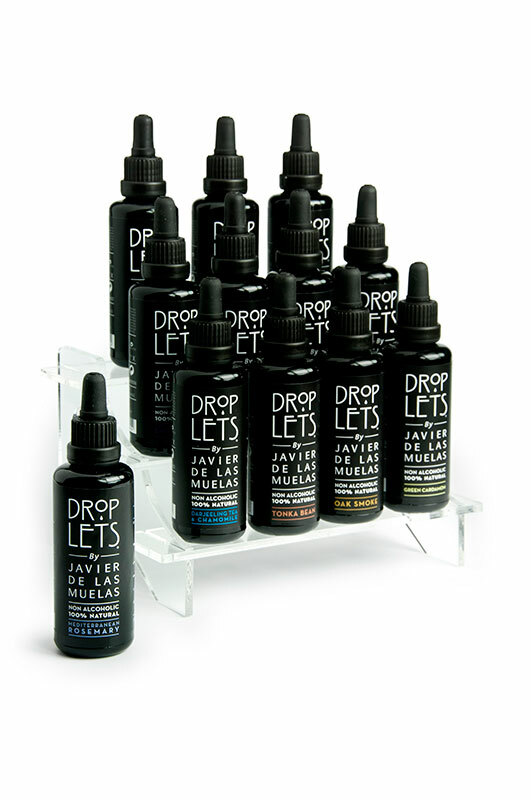 DROPLETS® is a gastronomic ingredient capable of providing all the freshness of the chosen flavor. 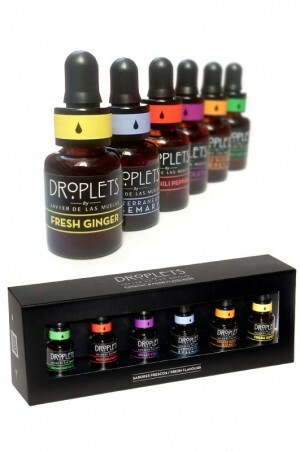 DROPLETS® s perfect for making gin & tonics, cocktails, teas, as well as sauces and dressings. 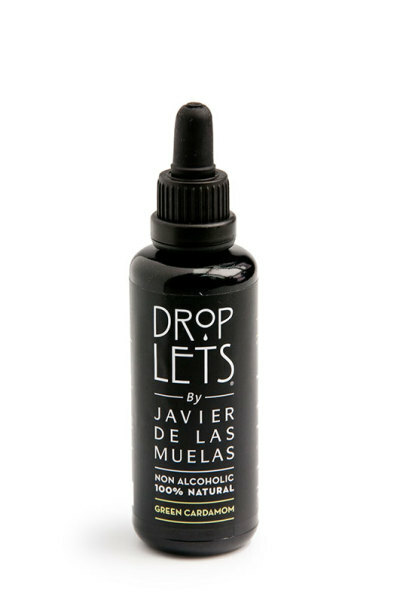 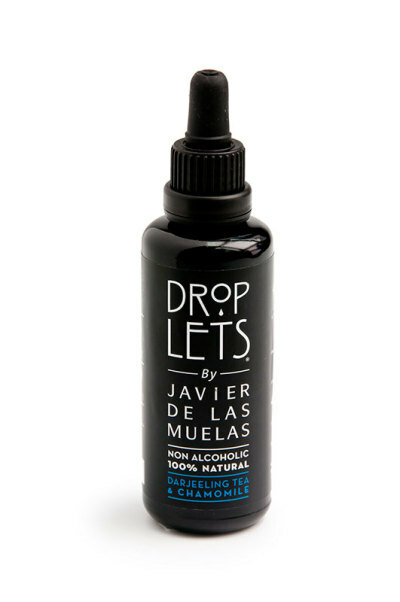 DROPLETS® transforms anything you want with just few drops. 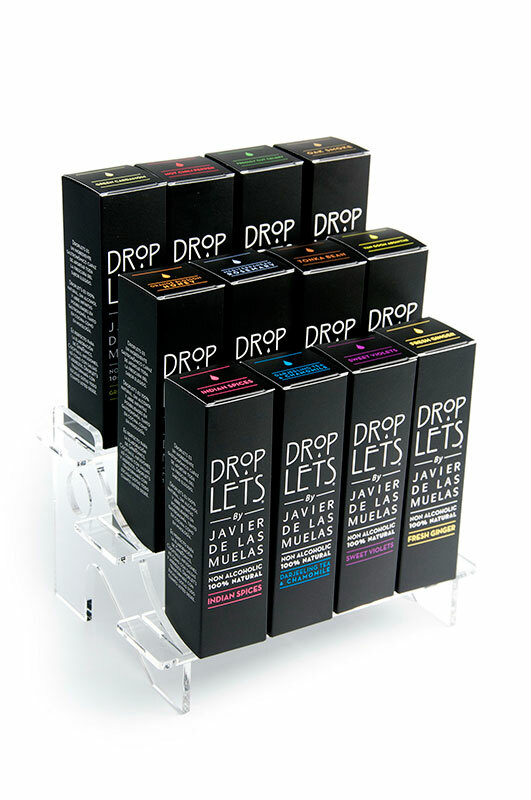 We, at Dry Martini, have been searching hard for a long time for a product that would mean a new category that would discover an endless number of new sensations, as a result of precise formulations and passion and that would enable us to always have flavors continuity and accuracy in our work. 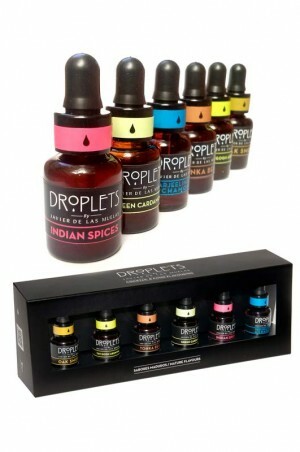 Not being subject to variability, nor to fresh products seasonality or to the organoleptic changes of natural products. With Droplets we can easily adjust our formulations. 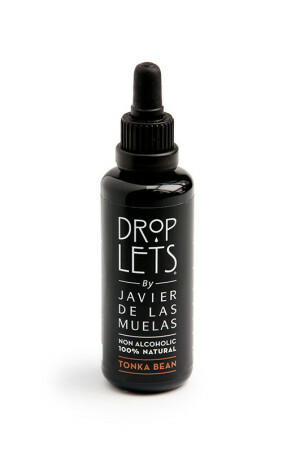 With a few drops we can reinterpret cocktails and dishes, always looking for innovation and creativity, mixing vegetable, spice and fruit nuances, DROPLETS help us to get uniqueness and consistency in all our creations. 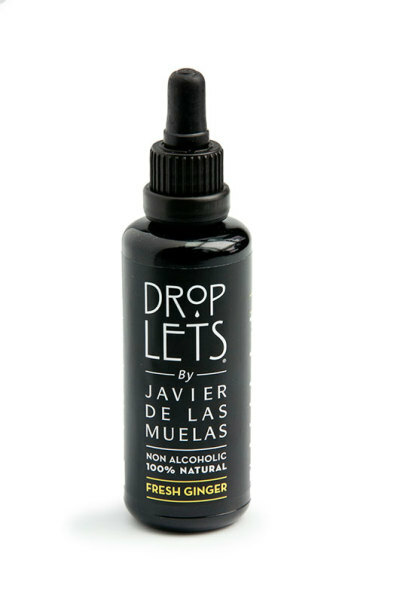 Its uses are limitless:cocktails, tea, Gin&Tonics, hot and cold sauces, vinaigrettes, dressings, juices, flavored oils, etc .. Easily blend with all kind of liquids, do not contain alcohol and are 100% natural.